Medaram jatara or sammakka sarrakka jatara is tribal religious festival celebrated in Medaram state of Telangana,India.Medaram is a remote place in the Eturnagaram Wildlife Sanctuary, a part of Dandakaranya, the largest surviving forest belt in the Deccan.Medaram is located 110 km away from Warangal head Quarters which in turn is about 140 km from the State Capital Hyderabad. Being a forest and Tribal area Hotels or constructions are not permitted. Devotees either stay under trees or bring Tents or camp tents to build their own accomidation around the temple area. This small village does not offer any accommodation facilities throughout the year for the tourists. But, during Sammakka Sarakka Jatara accommodation facility is available for pilgrims including temporary huts and tents by the locals, and small shelters by social welfare groups. Distance from Warangal/Hanmakonda: around 96 Kms.Time takes 2hrs to reach. Otherwise you can choose stay at warangal,karimnager,Hanmakonda or Hyderabad. Medaram Distance from Hanamkonda (Warangal) is 95 Kms. This time Telangana state government providing 3500 bus to Medaram due to devotees convenient. Hyderabad-waranagal bus station-Hanmakonda bus station-Warangal fort-Mulugu-Jangalapalli-pasra-Tadvayi-Eturu nagaram-Medaram. and Saralamma will return back in to forest. Heli Tourism Joy Ride at laknavaram Cheruvu-3330 rps plus service tax. The biennial Medaram Sammakka Saralamma Jatara could possibly be a smooth affair this year for those travelling to Medaram from all over the State. The district rural police are drawing up big plans to assist the devotees embarking on the pilgrimage in their own vehicles from the state capital and other places by employing high-tech means. 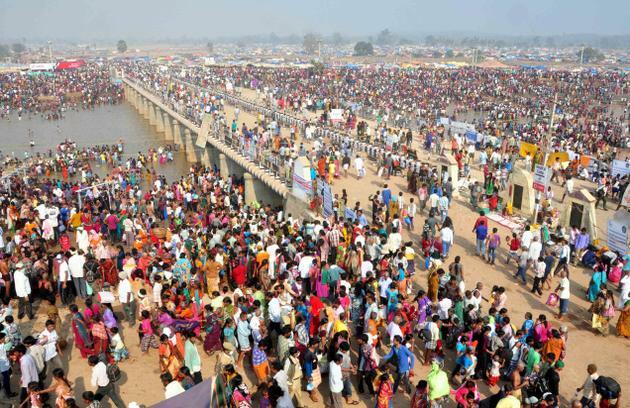 The police are in the process of developing a Mobile App to aid devotees to reach the jatara venue without any hassles. Many a times the devotees get confused on how to reach the place. Efforts are being made to make the App more user-friendly and to incorporate all possible details on the route map, parking lots, entry and exit points and how to reach the ‘Gaddelu’ (Altar) at which the deities Sammakka Saralamma would be installed during Jatara. The information technology wing of the district police along with some volunteers engaged in gathering feedback on contents and features needed to be embedded while developing the App. The suggestions of experts in traffic control are also being taken, the SP explained. It is planned to release the App by January 26 after evaluating its performance. Further, the district police are also planning to expand the range of mounted closed circuit television cameras (CCTVs) at Medaram. Last year the CCTVs are confined to about 200 metres around ‘Gaddelu’. “This time we intend to cover an area as wide as possible for better monitoring. 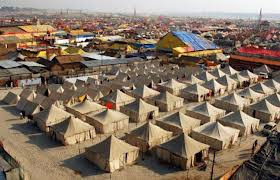 We also exploring the possibilities of using drones mounted with CCTVs to monitor the flow of devotees and vehicular traffic at Medaram,” Jha revealed. The police are also in the process of adopting some of methods employed during Godavari Pushkaralu like installing public address (PA) systems to alert the devotees and enforcing one way movement of traffic, he added. The app will not only provide information about the tribal festival but will also help the users with updates on traffic flow, pilgrim rush, route maps and missing persons information. Warangal rural superintendent of police Ambar Kishor Jha has decided to utilise the app during the jatara to ensure that there is no traffic jam. Based on Jha’s suggestion, the NIT-Warangal team led by Prof S Ravichandra had created the high-end app for the tribal festival. The app named `Welcome to Medaram` can be downloaded from the Google Playstore. Jha said the app will also give information on the rituals at Medaram. Sammakka Saralamma Jatara or Medaram Jatara is a tribal festival of honouring the goddesses celebrated in the state of Telangana, India.The Jatra begins at Medaram in Tadvai Mandal in Warangal district.It commemorates the fight of a mother and daughter, Sammakka and Saralamma, with the reigning rulers against an unjust law. 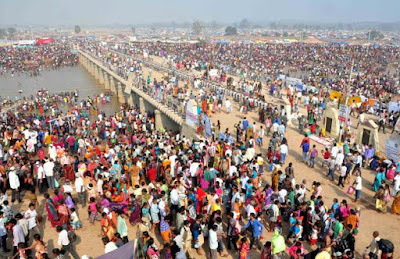 It is believed that afterKumbha Mela, the Medaram jatara attracts the largest number of devotees in the country. Medaram is a remote place in the Eturnagaram Wildlife Sanctuary, a part of Dandakaranya, the largest surviving forest belt in the Deccan.Medaram is located 110 km away from Warangal head Quarters which in turn is about 140 km from the State Capital Hyderabad. వరంగల్ జిల్లా కేంద్రానికి 110 కి.మీ. దూరంలో ఉన్న మేడారం గ్రామంలో జరిగే శ్రీ సమ్మక్క-సారలమ్మ జాతర గిరిజన సంస్క్రుతి, సాంప్రదాయాలను ప్రతిబింబిస్తుంది. దేశంలోనే అతి పెద్ద గిరిజన జాతర అయిన మేడారం శ్రీ సమ్మక్క-సారలమ్మ చల్లని చూపుకోసం రాష్ట్రం నుండే కాకుండా దేశం నలుమూలల నుండి సుమారు 80 లక్షల మంది బక్థులు తమ ఇలవెల్పును దర్సించుకుంటారు. ప్రతీ రెండు సంవత్సరాలకు ఒకసారి వైభవోపేతంగా జరుగు ఈ జథర ఫిబ్రవరి వ 17 తేదీ నుండి 20వ తేదీ వరకు నిర్వహించబడును. No one knows sammakka sarrakka varasulu.But their relatives used to make every two years festival.For more details check below video.Sammakka sarrakka relatives only brings sammakka and sarrakka from chilakala gutta to arrive to Platform (Gadde) and Devotees offer naivedyam or offerings like Bangaram and Last day of Sammkka Sarakka Jathara,Goddess Sammakkar and Saralamma will return back in to forest. Medaram village is located at a distance of 94 kms from the district headquarters of Warangal.Safe Forest Area, with good Roads. Being a forest and Tribal area Hotels or constructions are not permitted. Devotees either stay under trees or bring Tents or camp tents to build their own accomidation around the temple area. This small village does not offer any accommodation facilities throughout the year for the tourists. But, during Sammakka Sarakka Jatara accommodation facility is available for pilgrims including temporary huts and tents by the locals, and small shelters by social welfare groups. These accommodation facilities can be used while visiting this place during the fair. Otherwise one can choose their accommodation facility as per the needs and budget in the nearest big town Warangal or Hanmakonda and in Karimnagar City you can avail decent Hotel Accommodation.the devotees comes from Madhya Pradesh, Orissa, Karnataka, Chattisgarh, parts of Jharkand and Maharashtra. 2 hours drive from Waranganl (Hanamkonda). TS Tourism Development Corporation in Warangal. Kakaji Colony, Behind: Jaya Hospital, Hanamkonda. Sammakka Sarakka jatara is India's largest tribal festival of honouring the goddesses celebrated in Medaram in Tadvai Mandal in Warangal district Telangana state of India.It commemorates the fight of a mother and daughter, Sammakka and Saralamma, with the reigning rulers against an unjust law. It is believed that after Kumbha Mela the Medaram Jatara attracts largest number of devotees in the country.Jatara helds once in two years during Magha purnima.Medaram is a remote place in the Eturnagaram Wildlife Sanctuary, a part of Dandakaranya, the largest surviving forest in the Deccan. This time chief minister of Telangana K. Chandrasekhar Rao has announced Rs.101 crore for the conduct of the festival in Warangal district. Under the surveillance of TS Cabinet Ministers Indrakaran Reddy (Endowments) and Chandulal (Tourism & Tribal Welfare).Officials drawn from the Panchayat Raj, Health, Police, Roads & Buildings, Irrigation and others, gave detailed reports on the various works taken up in providing amenities such as drinking water, bathing ghats, sanitation, parking for vehicles, etc. For this jatara many pilgrims to come from States of Andhra Pradesh, Chattisgarh and Madhya Pradesh. 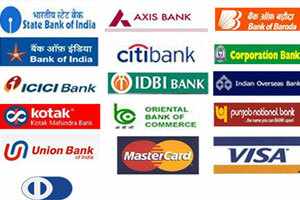 Airport : Warangal (99kms) is the nearest Airport. RGIA (Shamshabad) is 262 kms is another major Airport. Buses from Hyderabad, Warangal, Khajipet and Janagam runs most frequently. From Hyderabad for every 20 minutes buses runs from Uppal, MGBS(Mahatma Gandhi Bus Station),jubli bus station Jagadgiri Gutta, Bora Banda,kukatpally,patancheru. TSRTC providing 3,605 buses for sammakka sarakka jatar,also providing online reservation for Medaram Sammakka Sarakka Jatara.Transport Minister Mahender Reddy said 29 region-specific queues would be provided at the bus stand at Medaram. To regulate traffic, 29 mobile parties would be constituted and 150 officers, 350 supervisors, 8,000 drivers and conductors and 700 other staff members be drafted for festival duty.Women, the aged, physically challenged and children can easily board the bus due to the low floor height. Each bus has a seating capacity of 45. The buses are fitted with three CC cameras and 130 mm front windscreen glasses. There are many legends about the miraculous powers of samakka and According to a tribal story, about 6-7 centuries(700 years)ago in the 13th century, that some of the tribal leaders who went for a hunting found a new born girl sammakka with a glorious brightness plyaing with lions and tigers. She was taken to their habitation and adopted by tribal leader(koya dora),brought up as a chief tain She later became the saviour of the tribals of the region Sammakka was married to Pagididda Raju a feudatory tribal chief of Kakatiyas who ruled the country of Andhra from Warangal(orugallu capital city ) City between 1000 AD and 1380 AD.She was blessed with 2 daughters and one son namely Sarakka, Nagulamma and Jampanna. After sometime, there was a severe drought that lasted for four consecutive years in villages and as a result the mighty Godavari River dried up.Hence pagididde Raju didn’t pay tribute to King Pratapa Rudra. In turn king Pratapa rudra sent his army to subdue the tribals and collect the tribute.The war under the command of Lieutenant Yugandarudu. The war was fought between tribal chief pagidde Raju and Kakatiya army on the banks of “Sampenga Vagu” (Jampanna Vagu). The Koya army fought valiantly but could not with stand the well equipped Kakatiya army.Kakatiya army having a large number of elephantine forces. Thousands of tribal heads were chopped and the blood flew like river from the battle ground, and mixed with Sampenga Vagu (a water passageway). The water in the Sampenga Vagu was contaminated with blood. In this battle, all the tribal and non-tribal people participated against Kakatiya forces.Though fought valiantly Pagididda Raju, his daughters Sarakka, Nagulamma, son in law Govinda Raju lost (husband of Sarakka) lives in the battle. Later Jampanna also dies in Sampenga Vagu after renamed Sampenga vagu as Jampanna Vagu in the memory of his heroic fight against well trained Kakatiya army.Believing that a dip in the Jampanna vagu heals all the diseases, people in large numbers vied with each other to make their way towards the rivulet. By hearing this news Sammakka didn't give up her courage,also enters war having Daalu and fights and causes lot of damage to kakatiya army. Surprised by her Bravery And Valour the Kakatiya Prime Minister visited war ravaged Koya kingdom with proposal of peace and offered Sammakka a place in the emperor’s harem as the chief queen. Samakka turned down the offer and resolved to continue the fight to avenge the dead. The battle continued and Sammakka was seriously wounded.Suddenly a boy came from behind and back stroked Sammakka. Sammakka turned back and raised her sword to kill, but she realized that it was a kid and put the sword down. Sammakka forgave the child and tied the wound with a cloth and moved away from the village towards east as she was aware that if her blood falls on the village land, the land will become barren and gives no fruit. Samakka told her people that as long as they remembered her, she would protect them.Then, she cursed the Kaktiya dynasty to perish And with that wounded body proceeded towards Chilakala gutta and disappeared in the forest. After battle tribals(koyas) searched for their qeen sammakka in to forest.They found a red och re box(a container of vermilion-Kumkum Bharini), her bangles at a snake hole under the Naga Vruksham.Tribals(koyas) believed that, Sammakka was found as vermillion.Hence once in two years tribal s celebrates sammakka saralamma jatara on the day of Magha Shudha Poornima. That is why the tribal elders cut off the Naga vruksham and make it has symbol of Sammakka, build it in a platform (Gadde).They also build another Platform (Gadde) for Sammakka’s daughter Saralamma. They worship "Deyyala Madugu thinking as Jampanna". Some pilgrims see a snake in the hole of Ippa chettu (Ippa Tree), which is besides the Sammakka’s platform and believe that it was Sammakka’s husband Pagididda Raju. People believe that Goddesses Sammakka, Saralamma fulfill their desires with their divine and miraculous powers.Most of the people from various prats of the country visit the Medaram to get themselves blessed by goddess. 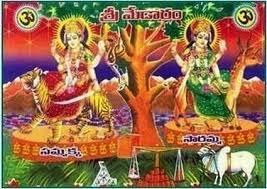 Many a pilgrim pay their promises made to goddess during the Medaram Jathara, by offering Jaggery(Bangaram), calf, coconuts and donations in cash etc. Pilgrims bath in the Jampanna stream to get purified and absolve from sins. A 50 acre forest would be used for the purpose of jatara,which is situated 110 km from the Warangal district headquarters on the banks of river. The jathara begins on Magha shuddha Purnima and continues for four days. There is no permanent idol of the deity. It is said that a Koya boy who gets a vision before the festival, searches in the forest for a week without food and sleep and finally brings the goddesses in the farm of two vermilion caskets tied to a piece of bamboo, one representing the main deity Sammakka and the other her daughter Saarakka (Saaralamma). The festival begins in the month of Magha, on Suddha Pournami (full moon day) evening when Saaralamma would be traditionally brought from Kanneboyinapalle, a village in the forest, and installed on a gadde (platform), an earthen platform raised under a tree. When the priests bring out the ochre box and other relics from a hidden forest location, there is great violent and noisy commotion or disturbance of a crowd with wildly excited or enthusiastic beating of drums, blowing of trumpets and full throated yells. It is said that during the festival a huge tiger prowls around peacefully. The feel of fair watching so many devotees is a great feel of life. Medaram village is located amidst the Eturnagaram forest area of Warangal, Telangana. Tadvai forest area is located near to Medaram. Ramappa Temple is around 60 kms far from Medaram. Distance from Hanamkonda (Warangal) is 95 Kms. Drive straight on Warangal road.Take right at Maruthi showroom at Molugu cross road. Drive ahead on Molugu-Tadvai road. During normal times, many of buses ply from Hanamkonda bus stand to Medaram. During the Jathara time, special buses are arranged by state government. Special buses ply from all the districts of Telangana to Medaram. Kazipet Junction Railway station is the major railway station near to Medaram. One can reach kazipet or Warangal by train. From Warangal, one can get plently of buses to Medaram. As Medaram is situated in forest area, construction of Hotels is prohibited in that area. There is Tourism guesthouse at Medaram which is mainly used by government officials. One can get comfortable accommodation at Hanamkonda/Warangal. Warangal Police -100 :Very useful number during Jathara time. Warangal police takes the responsibility of security and safety of the devotees visitng Medaram. There are many kiosks arranged by Warangal Police on the way to Medaram which are very much accessible to all the devotees. In Medaram Jampanna vagu is one of it to see in medaram jatara and there is a tradition that after bathing in Jampanna vagu only they go for prayer to godess sammakka Actually jampanna vagu is a tributary to River Godavari more information about of jampanna vagu is Jampanna is son of Sammakka .So Sampenga vagu is renamed in the memory of his heroic fight against well trained Kakatiya Army in the history Jampanna fight against army will be remembered.Jampanna vagu which flows in the vicinity of the Medaram village, forms the bloodline of the jathra rituals for holy bath as well as subsistence of the devotees during the jathra period.After making bath in jampanna vagu devotes offers jaggery(bangaram) to godesses sammakka and saralamma daughter. There was a severe drought that lasted for four consecutive years in villages and as a result the mighty Godavari River dried up.Hence pagididde Raju didn’t pay tribute to King Pratapa Rudra. In turn king Pratapa rudra sent his army to subdue the tribals and collect the tribute.The war under the command of Lieutenant Yugandarudu. The war was fought between tribal chief pagidde Raju and Kakatiya army on the banks of “Sampenga Vagu” (Jampanna Vagu). The Koya army fought valiantly but could not with stand the well equipped Kakatiya army.Kakatiya army having a large number of elephantine forces. Thousands of tribal heads were chopped and the blood flew like river from the battle ground, and mixed with Sampenga Vagu (a water passageway). The water in the Sampenga Vagu was contaminated with blood. In this battle, all the tribal and non-tribal people participated against Kakatiya forces.Though fought valiantly Pagididda Raju, his daughters Sarakka, Nagulamma, son in law Govinda Raju lost (husband of Sarakka) lives in the battle. Later Jampanna also dies in Sampenga Vagu after renamed Sampenga vagu as Jampanna Vagu in the memory of his heroic fight against well trained Kakatiya army.Believing that a dip in the Jampanna vagu heals all the diseases, people in large numbers vied with each other to make their way towards the revolt.